When you pair the ideas of knife designers Sal Glesser and Ernest Emerson, you end up with products of both gigantic capabilities and diminutive proportions. In the early 1980’s, Mr. Glesser brought us his patented Spyderco round opening hole, Spyder Edge serrations, and integral pocket clip. In the late 1990’s, Mr. Emerson invented his Wave, or Emerson Opener, which was first seen on his Commander series of knives. The melding of all these great innovations can only lead to a line of outstanding folding knives. 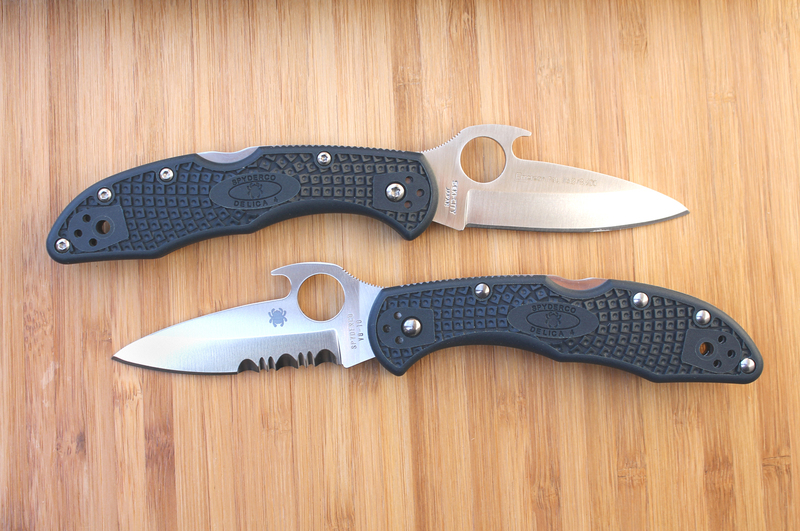 Spyderco’s Delica4 and Endura4 knives stand apart from the crowd. 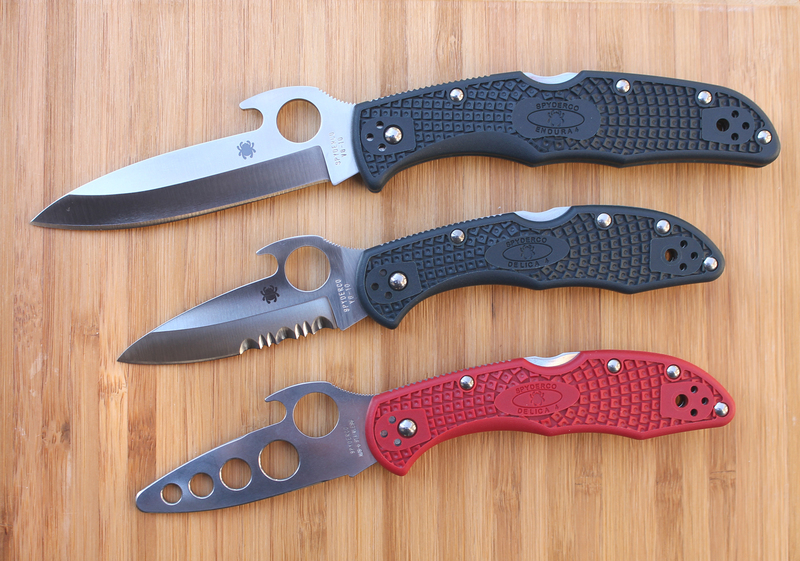 The latest iterations of these folders have VG-10 saber ground blades, skeletonized stainless steel liners beneath the Volcano Grip FRN scales, and four-position pocket clips. 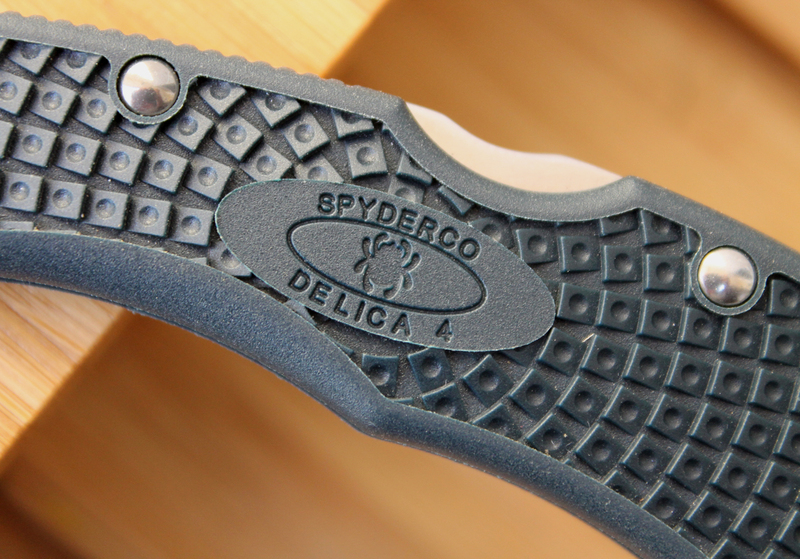 A back lock, with David Boye Dent for the thumb, allows Delica and Endura to be ambidextrous. What could make these knives a little better? 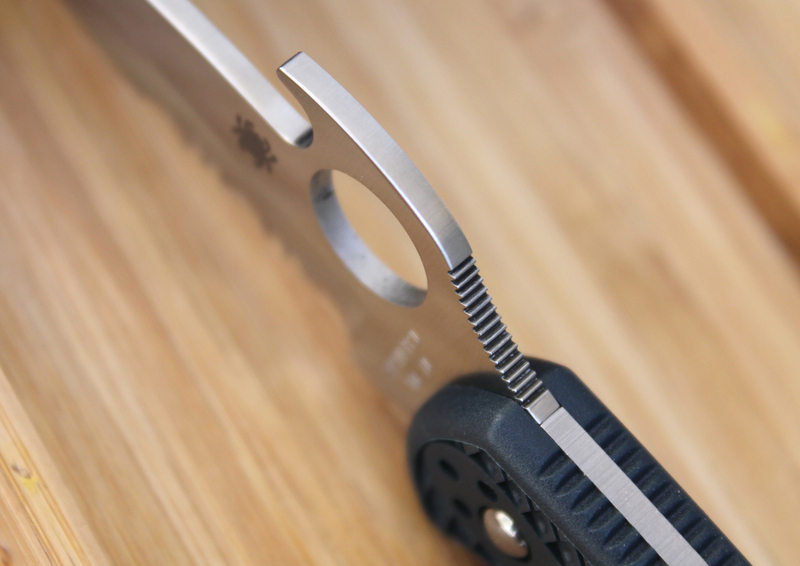 Ernest Emerson, of Emerson Knives Inc., added a hooked protrusion to the top of his Commander knife. 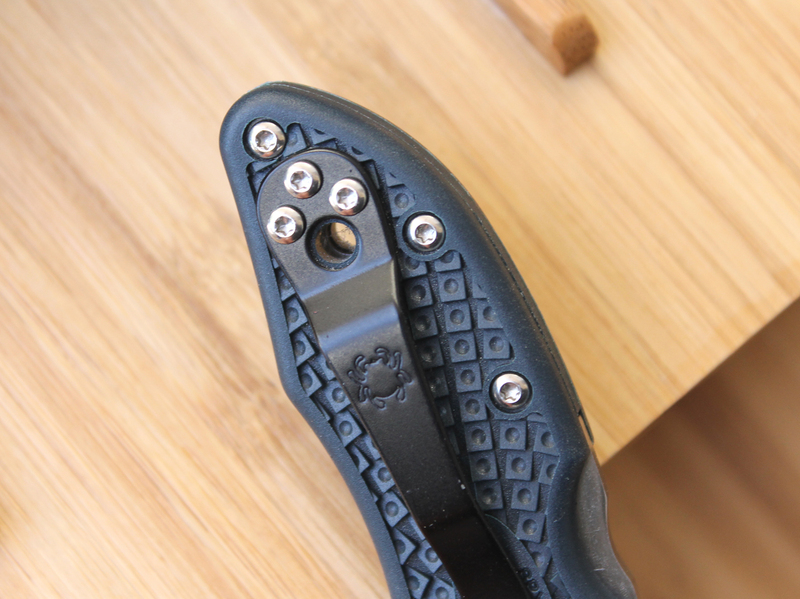 It was originally put there as a blade catcher, specified by West Coast U.S. Navy SEAL team officers while they were tinkering with Emerson’s SERE knife concept for U.S. Army soldiers. It was discovered that the blade catcher would hang up on the pocket fabric when the knife was drawn. This pulled open the blade when done deliberately. Emerson patented the wave feature in 1999. Because the Leatherman Tool Group, Inc. held the rights to the term “Wave,” Emerson’s design is now called variously the Wave Shaped Feature (Emerson Knives), the Remote Pocket Opener (U.S. Navy), or the Emerson Opener (Spyderco). 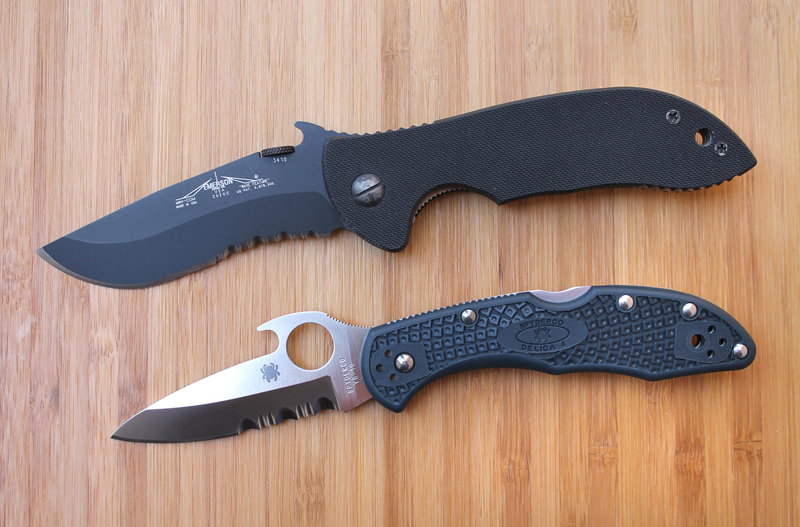 It is the Emerson Opener that gives some extra horsepower to Spyderco’s lightweight Delica and Endura models. 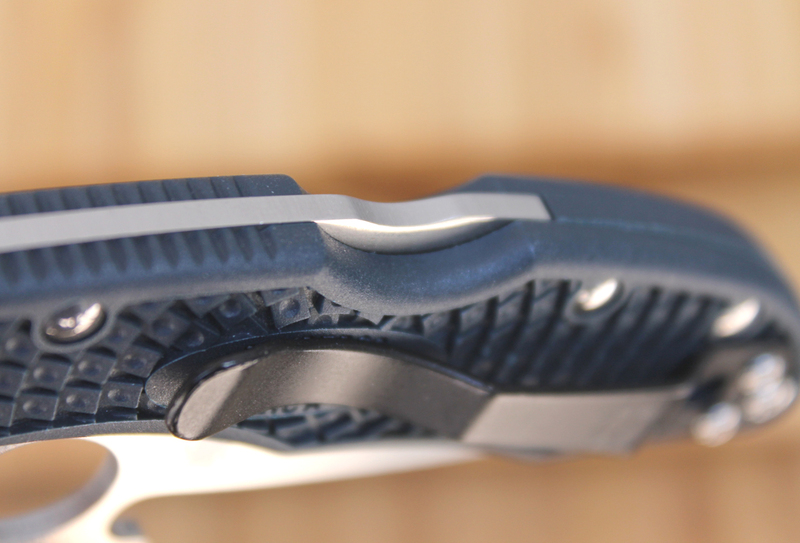 From the tip up position in the pocket, a wave-featured folder is quickly withdrawn while keeping the back of the blade, with the hooked side down, to the rear pocket edge. It takes a little momentum to cause the blade to reliably flick open and this move should be practiced. Check your six when you perform this maneuver. I have found that you can also hold the back of the blade with the fingers and finesse the knife out of your pocket, if you want to discreetly remove the folded knife without fanfare. The scales of the Emerson’d Delicas and Enduras are a blue-gray color that goes well with jeans. 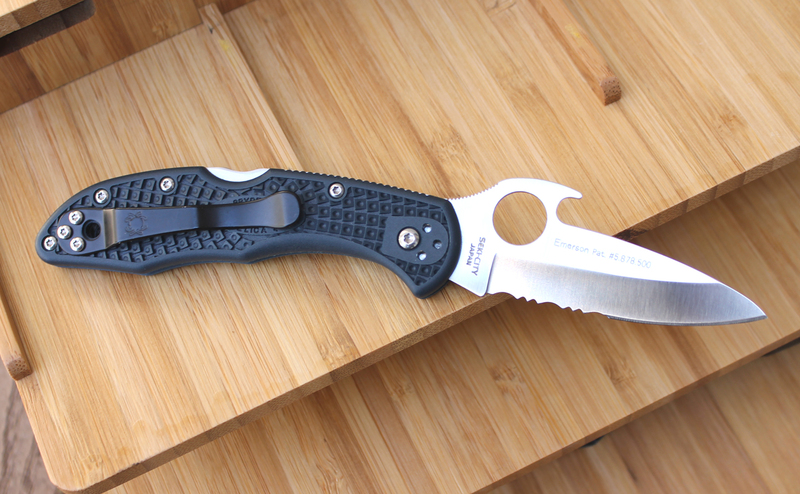 Because the wave-shaped hook on Spyderco Delica4 is a little “sharper” than on Emerson’s own production knives, like the EKI Mini Commander above, care should be taken so as not to rip up your pants pockets. 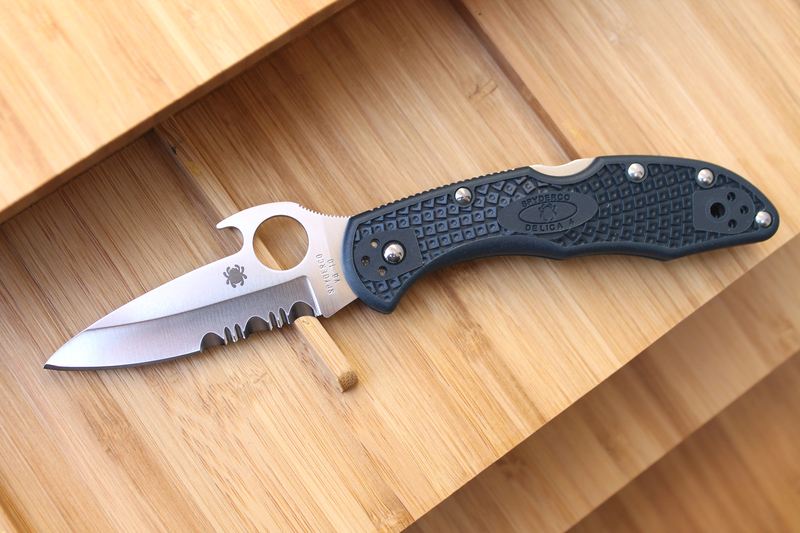 The combination of the Spyder hole, pocket clip, and Emerson Opener serves the Delica and Endura platforms well. It is hard to think of what can improve these knives from a purely functional standpoint. 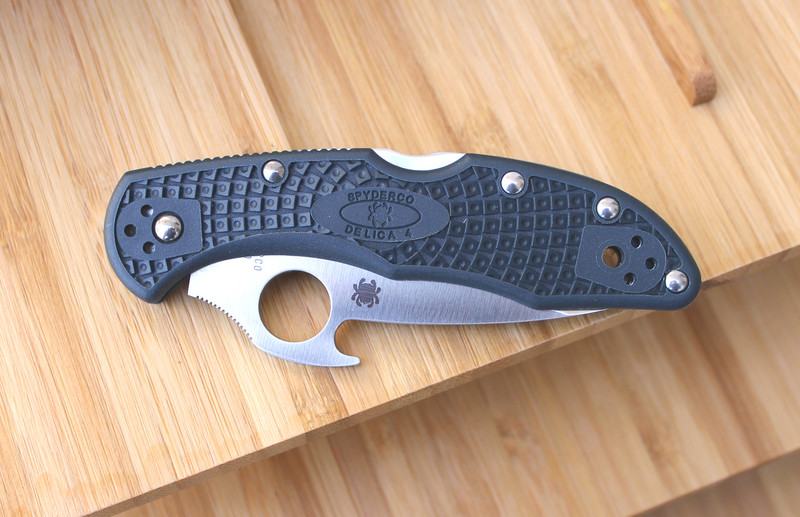 Hmmm, now if I can get a wave-featured Delica4 with a full flat ground ZDP-189 stainless steel blade, Nishijin glass fiber handle scales, and a deep carry clip. Yeah! This entry was posted in Knives and tagged Delica4, Emerson Commander, Emerson Knives, Emerson Opener, Endura4, Ernest Emerson, Leatherman Wave, Sal Glesser, Spyderco, Spyderco Delica, Wave Feature. Bookmark the permalink.